Funniest moment on the soccer field: Probably when I accidentally scored a goal off my face this past season. What you are most looking forward to with your volunteering? Seeing firsthand the positive changes that I have made in people’s lives. Interesting fact(s) about you: I love to sail! 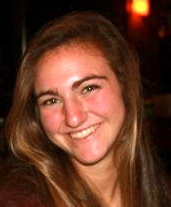 Micaela will be traveling to work with several partner programs in Kenya. Tim will be traveling to work with partner programs in Zimbabwe. What you are most looking forward to with your volunteering? Tim will be working with partner programs in Zimbabwe. Previous: Sometimes you’ve just got to SMILE!